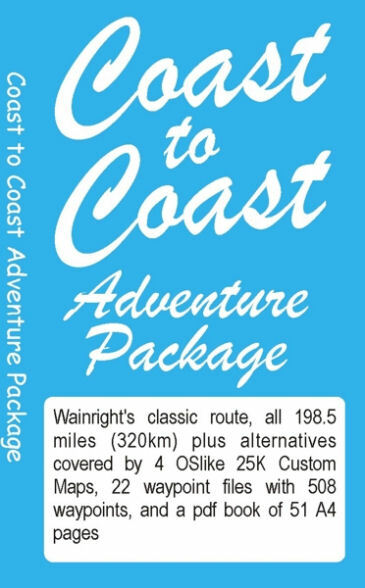 This classic route, pioneered by Alfred Wainwright, crosses northern England from – you guessed it – coast to coast. There are other books available – so what makes this one different? 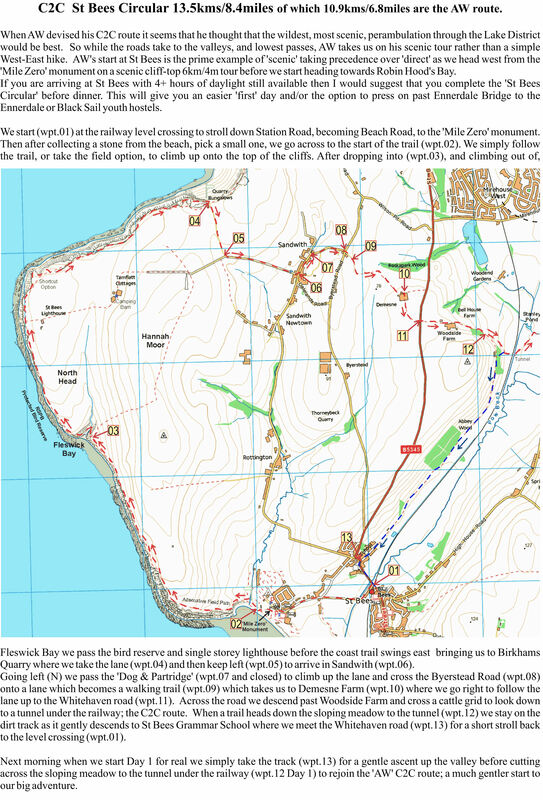 “On a fortnight’s adventure with my mates Keith and Nigel from St Bees to Robin Hood’s Bay (July 2012) I talked to loads of C2Cers subtly asking what would make the route better. What everyone wanted was accurate navigation along the route, especially if it included ‘real time’ mapping. A system of accurate navigation for the whole route using ‘real time’ mapping on a Garmin gps or Viewranger phone app. The result is a Stage by Stage guide, with alternatives, that gives you a real time mapping gps unit showing exactly where you are on the route along with the walking instructions that will ensure that you stay on the correct route.